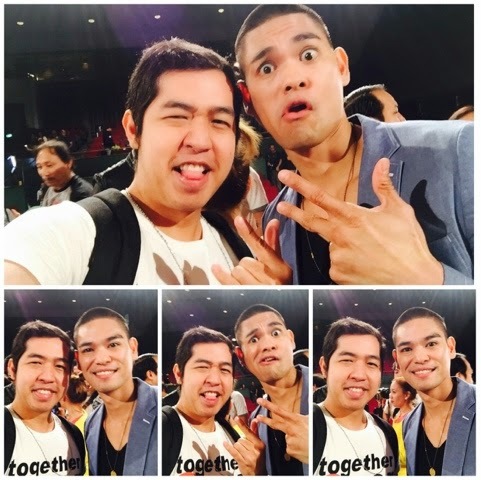 Home JayR JayR and Rocky JayR Silona RnB RnB Prince Selfie Wacky #Selfie: JayR Turns Wacky with Rocky! The RnB King JayR Silona showed his wacky side during our pictorial with yours truly! Well if we always see him transform from one singer to another in the top-rating singing reality show "Your Face Sounds Familiar" in ABS-CBN, this time in Bits of Rocks, get ready to see his wacky face. I started to get close with JayR after I interviewed him last March 2015 during the presscon of "Your Face Sounds Familiar." Yes, he revealed with me why he decided to transfer from the Kapuso to the Kapamilya network! And I will share with you the said video interview on my next exciting post!